With the holiday of Pesach upon us it is apropos to reflect on the freedoms we take for granted each day. In this country we are afforded many freedoms that were previously denied our ancestors, neighbors and colleagues. While we might take it for granted, most of these freedoms were obtained following systemic action such as military action, wide spread protest, substantial political maneuvering, legal action and judicial intervention. When a woman is denied a Get following the disintegration of her marriage, she is denied her freedom. She is denied the freedom to separate herself permanently from a spouse with whom she no longer wants to be with. She is denied the freedom to move on in her life and forge a new relationship. She is denied the freedom to have (more) children. Unfortunately too often, woman are also asked to forgo their parental and economic rights as well in exchange for their freedom. I would like to pose a question that may be viewed as controversial. Should a woman, and her supporters, negotiate with a recalcitrant spouse in order to gain her freedom? In essence, should we negotiate with a terrorist? Terrorists make demands because they believe that their demands will be met. When those demands are met or negotiated with, then the tactic of the terrorist has proven to be effective. When people or governments, negotiate with terrorists at least two important consequences follow. There is the immediate exchange of what was demanded and there is the future fallout that can almost always be directly connected to the initial exchange (For example, future terrorist activity and loss of life committed by prisoners exchanged in a negotiation). To simplify the rational for terrorism for the purpose of this article only, let us assume that terrorists act either in seeking a specific quid pro quo or they act in the pursuit of power and acquisition (a more subtle quid pro quo). For the purpose of this scenario let’s assume that a terrorist is seeking a quid pro quo. A situation where he, she or they are using their position to gain a perceived or actual benefit to themselves. It would then follow, that if a terrorist understood that no matter what the demand and no matter how dire the situation, there would be no negotiation, then a terrorist would not continue to incite terror. How is such a goal achieved? Through zero tolerance. By not negotiating with terrorists under any circumstances. Without looking to change halacha, we certainly have the power to effectuate change in the resulting unfortunate consequences through a communal climate shift. Get refusal exists because we allow it to exist. If communal pressure were such that recalcitrance would be abhorred and not tolerated without exception than there would be no place for Get refusal in our communities. When we don’t have an unadulterated zero tolerance policy then there is room for acceptance. When the Get of one terror victim is negotiated, the freedom of so many others are sacrificed. Negotiating with a man who refuses his wife a Get sends a message to the community that Get refusal is acceptable and that the granting of a Get carries a price. I do not want to suggest that even 1 woman serve as the sacrificial lamb in her fight for freedom. However, change will only come if there is a systemic and unwavering movement toward a policy of not negotiating with terrorists. May this year bring freedom and redemption to ALL of Klal Yisrael. There are also, all too often, men who withhold a Get simply to gain and maintain power and control over their spouse. Rachel Marks, Esq., is associated with the law firm of Schonfeld and Goldring, LLP, with offices located in Cedarhurst, NY. Schonfeld and Goldring, LLP limits its practice to divorce law, family law, and matrimonial law in both secular and rabbinic courts. Rachel is a former Assistant District Attorney. 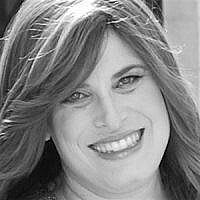 She is an active member of her community and sits on the Boards of Directors of Shalom Task Force and Ohel Children’s Home and Family Services.